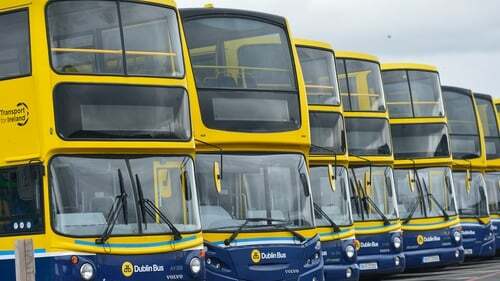 The board of national public transport provider CIÉ has appointed Lorcan O'Connor as its new chief executive. Mr O'Connor, a chartered accountant, will join CIÉ from the Insolvency Services of Ireland, where he is currently chief executive. He has also previously worked with Deloitte Corporate Finance and as a financial advisor in the Department of Transport, Tourism and Sport. "With the assistance of the National Transport Authority the CIÉ Group plays a critical role in keeping Ireland moving in a sustainable manner," Lorcan O'Connor said. "I look forward to joining CIÉ in the New Year and working with the existing team to build upon recent achievements while also addressing the financial difficulties facing the group," he added. "At a time of great change and opportunity for the CIÉ Group, Lorcan's experience and leadership will ensure that our services can play the strongest possible role in addressing economic and societal issues such as congestion and sustainability; achieve a financially sustainable future for the Group; and most importantly deliver a safe, efficient and customer focused service," commented Fiona Ross, the chair of CIÉ. Over 230 million journeys are made annually on CIÉ's network of national, regional, local and urban services across Iarnród Éireann, Dublin Bus and Bus Éireann.